I was able to convince my cousin to have lunch with me one Sunday afternoon. I just told her that I made a reservation at a restaurant somewhere in Roxas Boulevard. 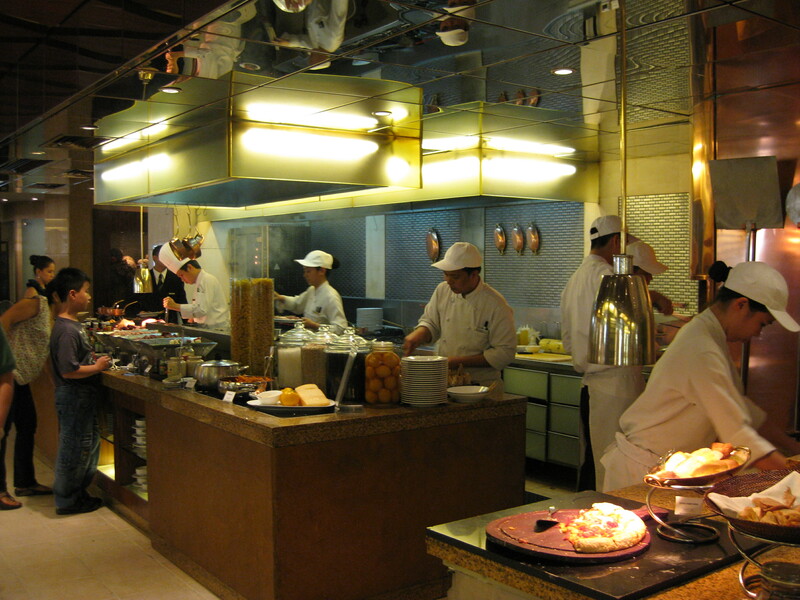 She was actually surprised when we arrived at Hyatt Hotel and Casino as she was not expecting that my lunch treat would we be inside a 5-star hotel. 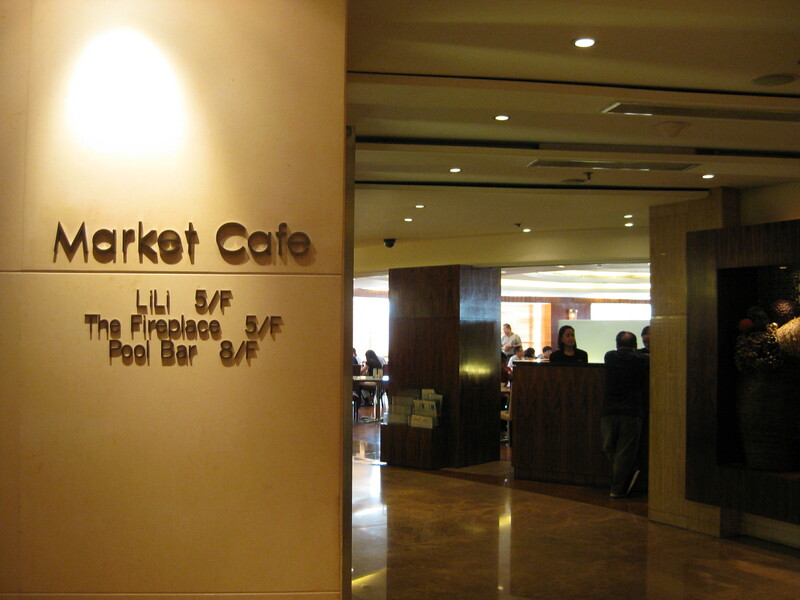 Market Cafe is located on the 3rd floor of the hotel. It was actually my friend Marta who recommended me this place. She told me that they have a great buffet selections. We arrived before 12 noon so the place was not yet packed. 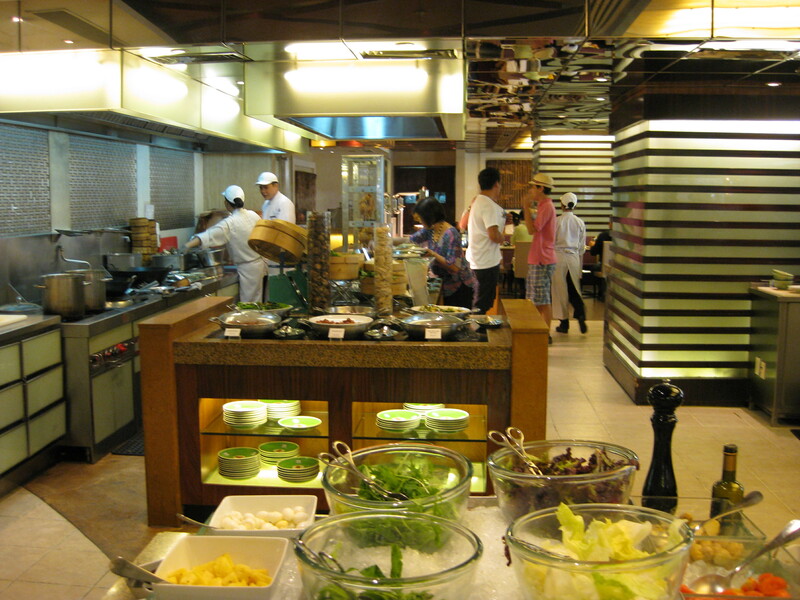 We were seated by the entrance and relatively near the buffet table as well. The food looks great! There’s a wide food selection but not to the point that everything was overwhelming. 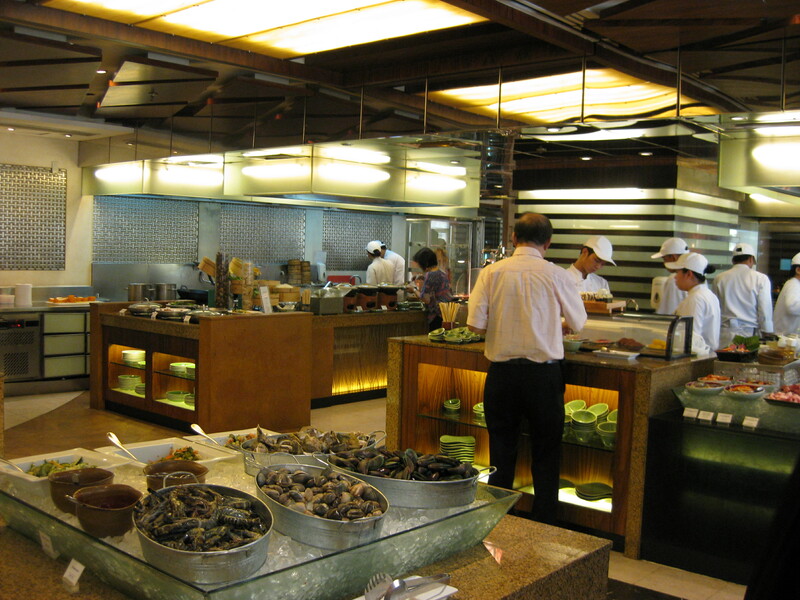 So here are some photos of the restaurant. 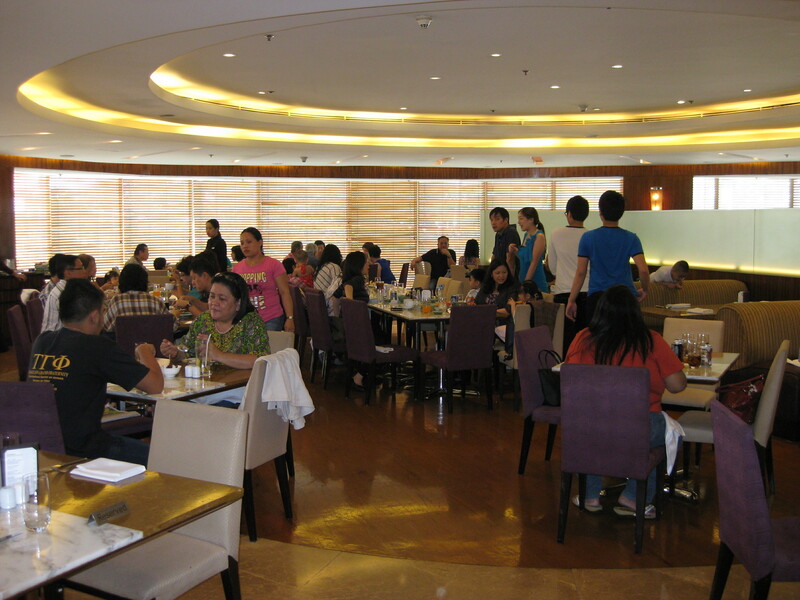 I love the ambiance of the place especially by the fact the natural light enters inside the restaurant. Plus points for good lighting! As for the service, I have to say that their staff were the best! Plates were taken right after we finished eating, napkins are folded everytime we come back from the buffet table, and they were even the one to offer ice, water and tea or coffee – no need to ask for it. The food taste good and we enjoyed everything we ate. My cousin’s favorites were grilling station and the dessert bar. 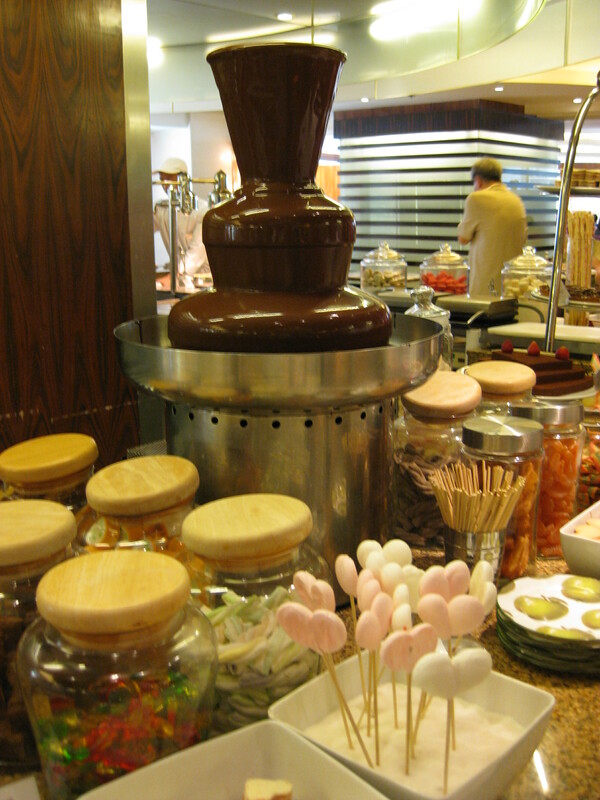 On the other hand, I took much love from their Japanese section and dessert bar. In fact, I actually ate sushi and sashimi…thereafter went straight to ice cream crepe! I literally skipped the main course to give way to appetizers and desserts. Around 1pm, the place starts to fill. I think all tables were full when we were there, so I suggest to make prior reservations if you want to eat there for lunch or dinner. thanks carol! next time, my treat! Welcome cousin! I’m looking forward to your treat!